Dark Lands – Games for Windows Phone 2018 – Free download. 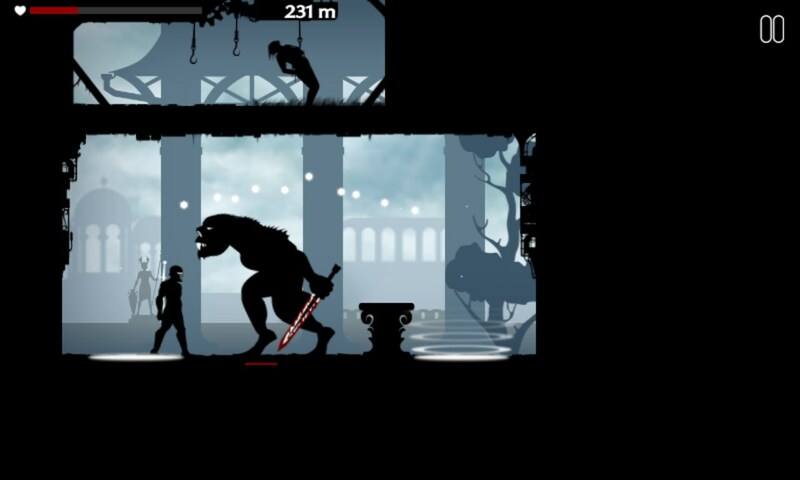 Dark Lands – Dodge traps and cut monsters in pieces. 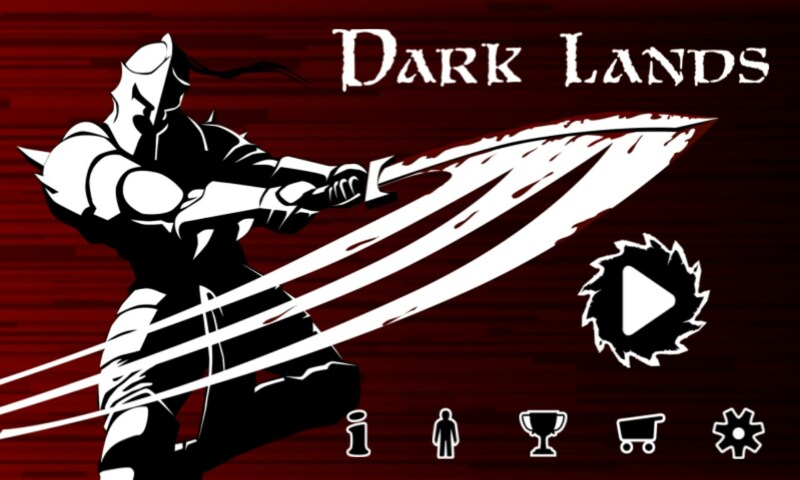 Dark Lands is an extremely dynamic game for Windows Phone of the category of runners, in which in addition to running, you will find an incredible action. By looking at the design of the game, its name and a small animation, one cannot help agreeing with the fact that the world is shrouded in darkness. And judging by the appearance of monsters, the number of gallows, traps, spikes and other traps, it seems that we are in the very real hell amongst an infinite number of its inhabitants. 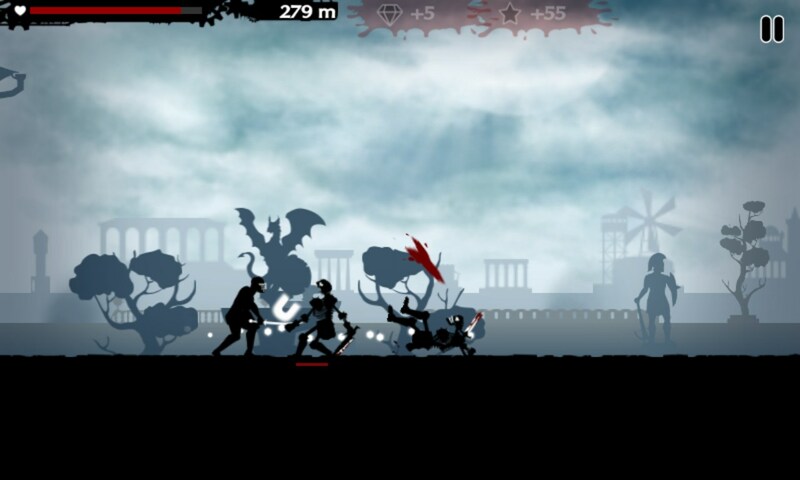 The main character of this game is a desperate person with a sharp sword in his hand and very impressive capabilities which you will have to manage. The ultimate goal in the game is not known, but in this world you cannot stop for a minute - that's why your mentee is in constant motion. He runs independently. 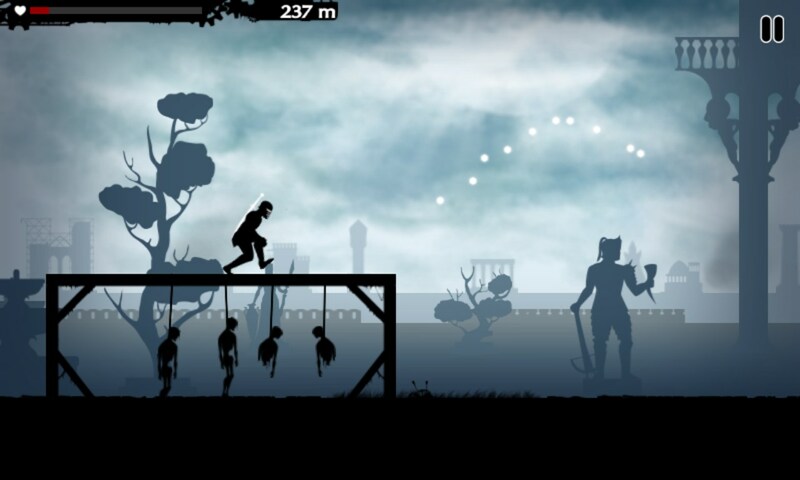 You just have to react timely to the emergence of various monsters, skeletons, traps, spikes and other traps. 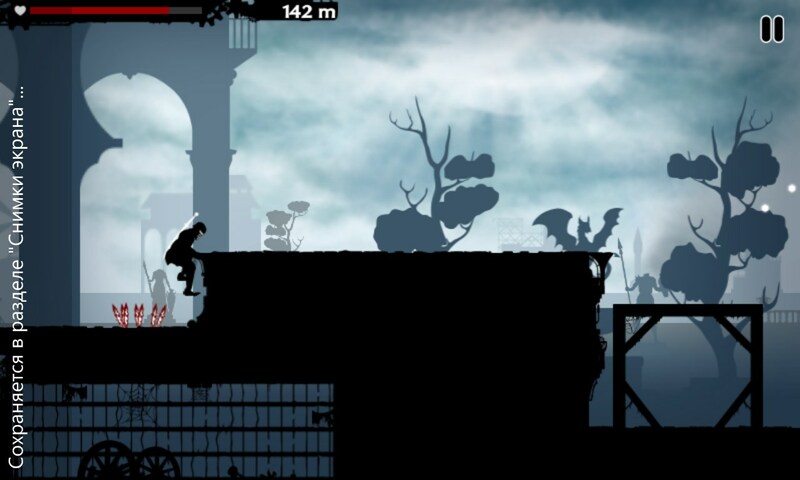 Depending on what kind of obstacle appears on the way of the main character, he can jump it over with a single or double jump, or slide under it on the back, or start a fight if it is one of the monsters. During the battle with the monsters, it is important not only to hit them in time, but also not to forget about the defense when your brave heart is being attacked. If there are lots of enemies and it turns out that the main character is surrounded by them, it is better to forget about them and to try to jump over to a free space to continue your journey. Otherwise, the death of the main character will be just a matter of time, because he can fight only those who are ahead of him, and a monster attacking from behind is impossible to resist and it will shed the blood of your mentee with impunity. Danger comes from literally everything in the game. You may not even see anything special, but some log hanging on ropes may suddenly fly above, or a sword may fly thrown at you by a monster that has not even appeared on the playing field. In addition to quite obvious dangers, in the game there are also hidden ones. For example, while jumping over another monster or some obstacle, you may end up in a portal, the output from which is directly in front of what you were trying to avoid a collision with. Basically, despite the fact that the monsters will look very intimidating, it is pretty easy to deal with them. The main thing is to timely put protection and attack when the opponent forgets about it. However, it is way more difficult when it comes to traps and huge disks of circular saws. 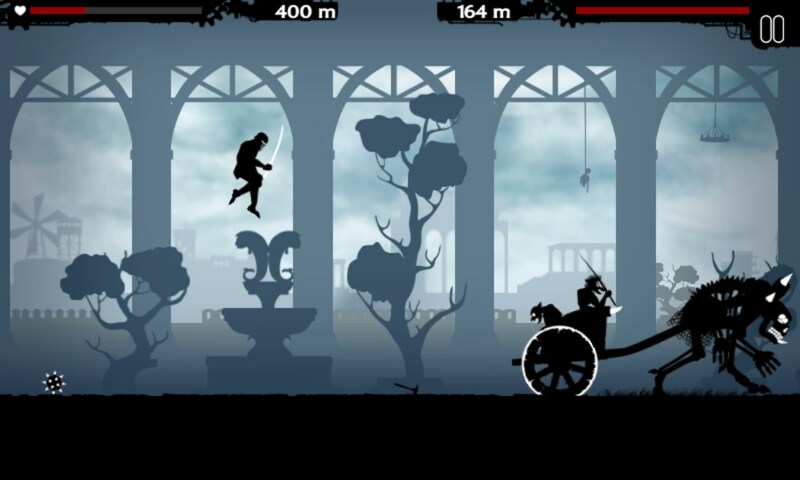 Once you fail to calculate the distance or time a little, and nothing will be able to save the main character. At the end of each level, you will find an encounter with a boss which is characterized by endurance and the ability to cause harm to the main character from a distance. Only a lightning-fast reaction can save you in such situations. 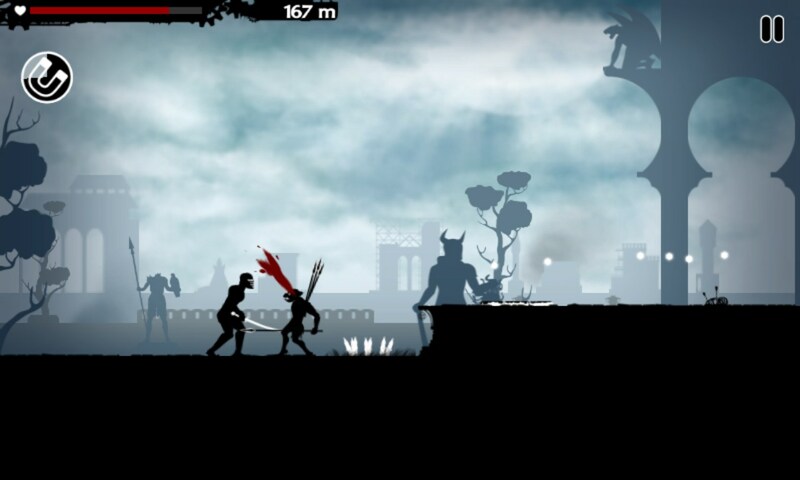 Controlling in the game Dark LandsControlling in the game is performed by using taps and gestures on the screen. During its first start, you will have to complete a full tutorial, and until you master all the movements, nobody will let you to the world filled with evil. The graphics in the game are great for the genre and this is shown on the screenshots. The soundtrack fits pretty good into the gameplay and sets a fighting mood to you. In general, the game is very original and not less interesting. Connoisseurs of the genre will appreciate its true value. This game didn't work on nokia lumia 625..